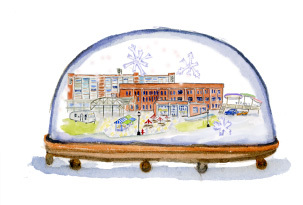 Leslie Zemsky » Larkin Square under snow! This entry was written on December 3, 2011 at 4:29 pm, filed under Snow Globes. Celebrate the Season with some snow!